I have to admit, I’m still on a bit of a high from the weekend, even though my body feels like it was put through a meat grinder! 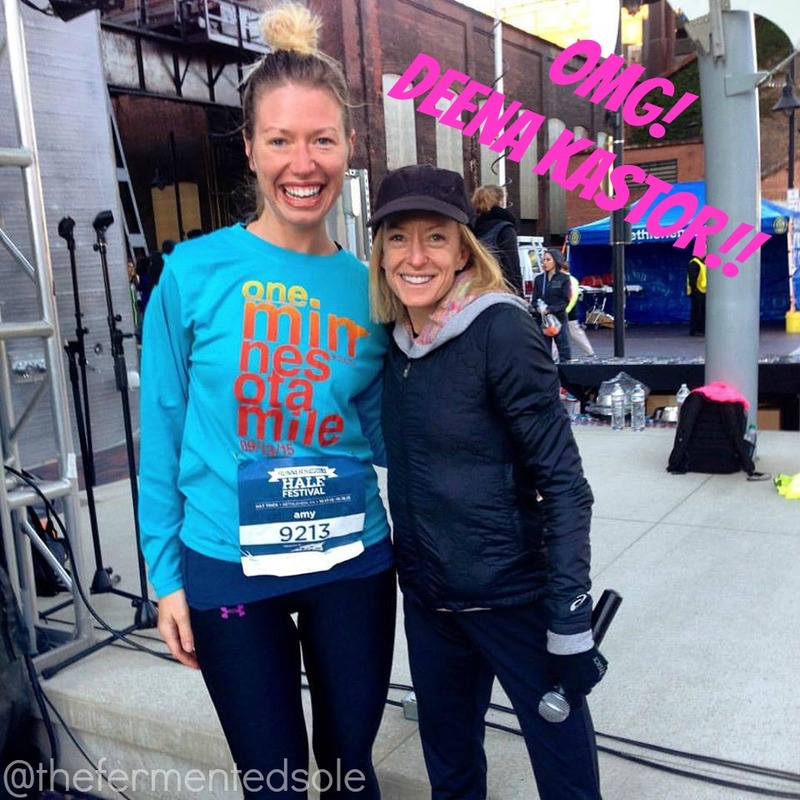 I attended the Runner’s World Half and Festival in Bethlehem, Pennsylvania this last weekend and it immediately started off on a huge high note: meeting Deena Kastor. She’s super tiny (duh, she runs like 7 million miles a week) but she’s hard to miss in a crowd! I congratulated her on her recent success in Chicago and she asked if I was ready for the races this weekend, taking note that I was doing all three. She happily posed for a quick picture (taken by none other than Bart Yasso!) and genuinely gave me a huge smile and a “good luck!” You could have ended my weekend right there and I would have been in heaven! I did forget my Runner’s World magazine that I was going to have her sign, but the photo speaks louder than an autograph anyway! A break in between gave me time to eat breakfast and stretch and then we headed out for the 10k at 9:30. Pretty well uphill for the first 3 miles and then nice rolling downhill to make for a negative split. My miles were 9:30, 8:55, 9:34, 9:25, 8:47 and 8:52 for a 57:40 total finish. Done for the day, I got some lunch and hit up some of the seminars at the festival including Dr. Jordan Metzl’s “Running Strong” seminar on incorporating strength training into your running schedule to avoid injury. I certainly don’t do that enough. I used to! 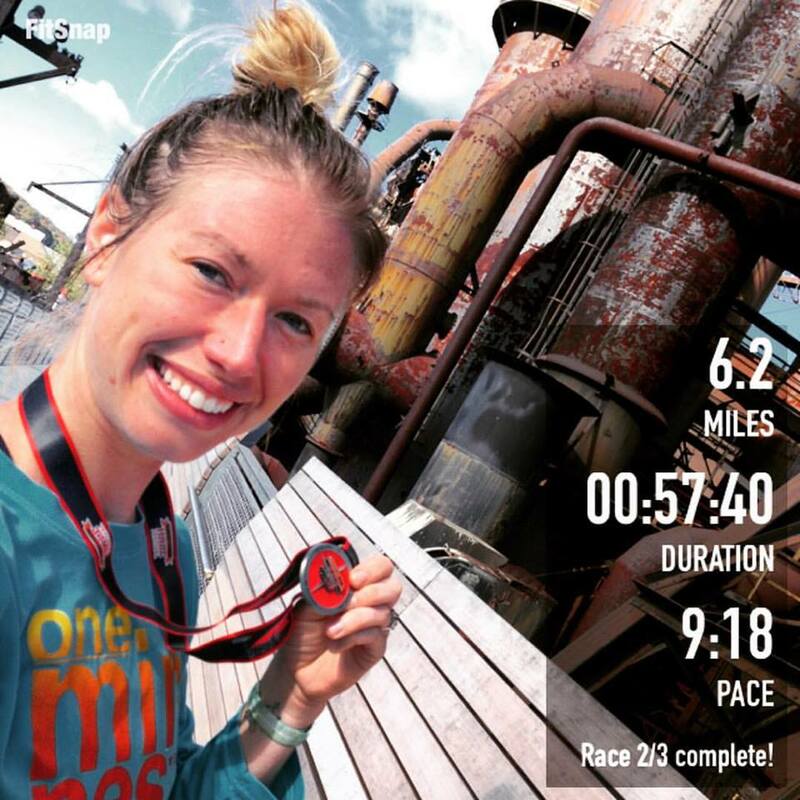 But I know I’ve lost a lot of what I had…So that was day one, and I started brainstorming ideas for my Grandma’s Marathon 2016 training schedule. 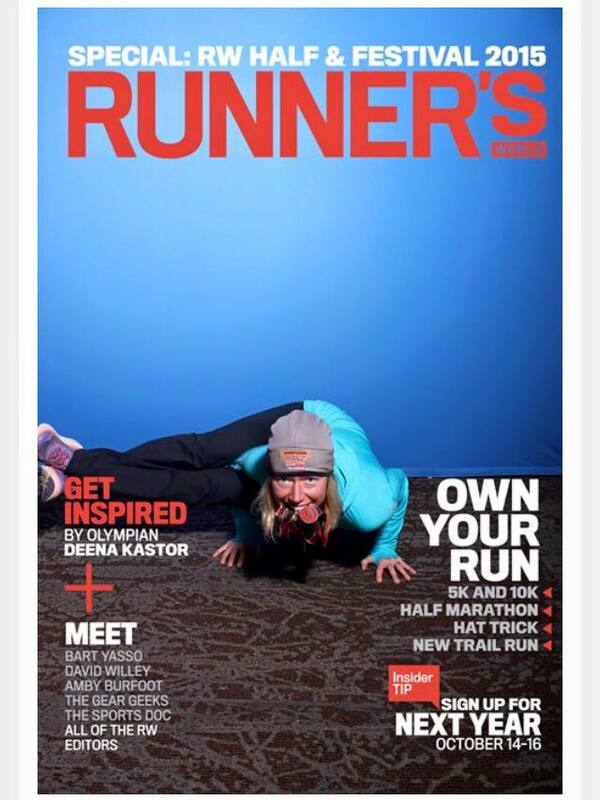 They even had a super fun photo booth and I got to “be on the cover” of Runner’s World… to which I immediately struck my favorite yoga balance! Sunday morning I was fueled up, a little tight and sore, but in a mentally great position. 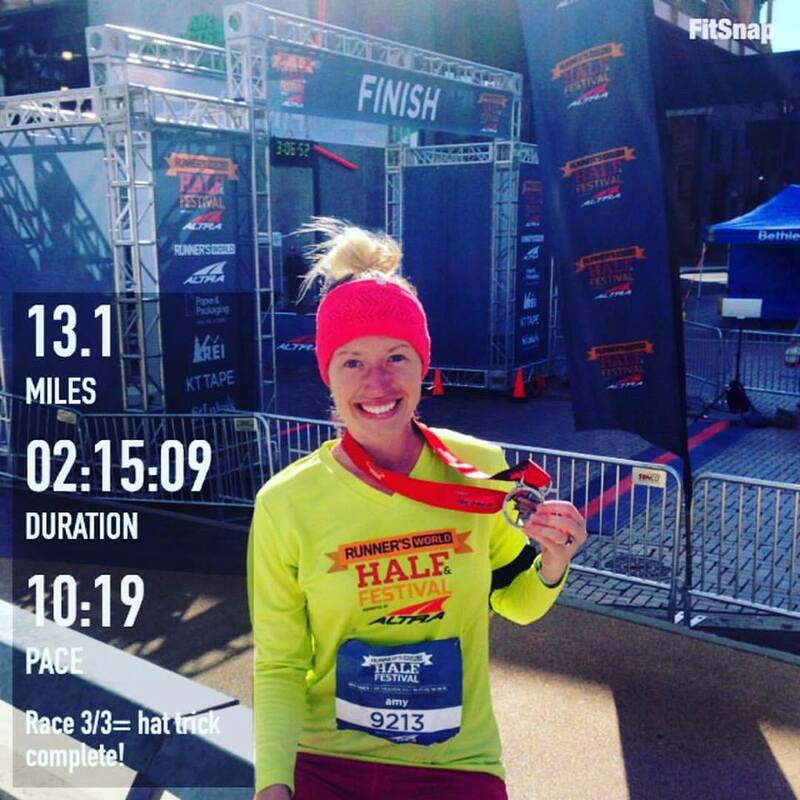 I had read enough tips about the half marathon to know the first half was all hills and the second half was pretty mild, so I planned to avoid gassing myself right out of the gate and just enjoy the day. I wondered if I could finally break that 2-hour half marathon mark, as my fastest times include a 2:02, two 2:01’s and a 2:00:06…yes, 7 seconds away from being sub-2-hours. I regretted my costume choice when I realized that. The start was 34 degrees F, so the chilliest I’ve ran in since April this year, and certainly the coldest run to date since moving to Maryland. 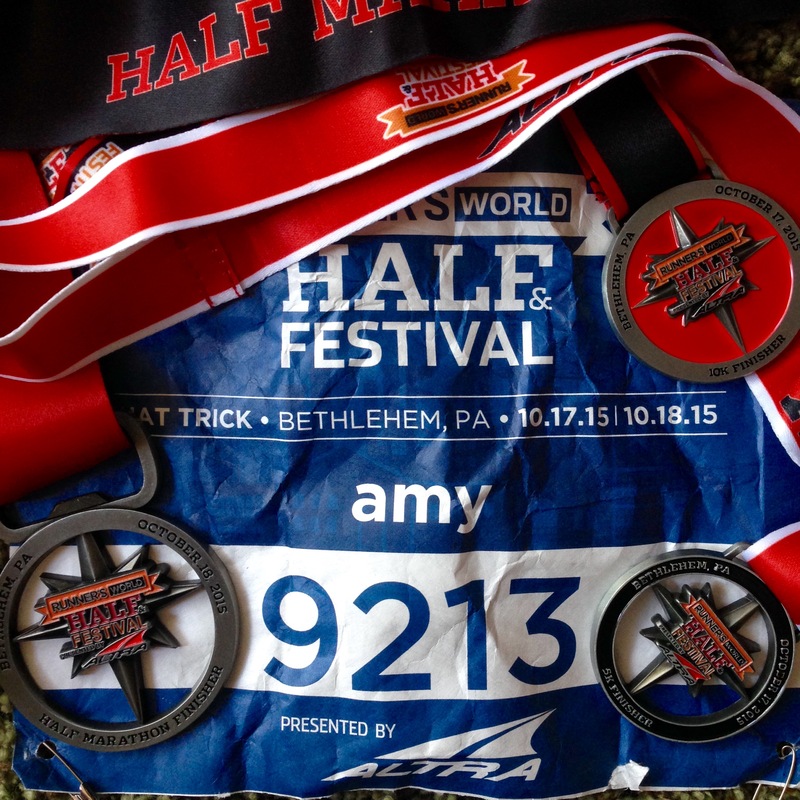 Runner’s World Half & Festival Hat Trick 2015: COMPLETE! PS – If you’re wondering whether I would recommend this race, or set of races to anyone, I absolutely would. I wouldn’t say go for your PR, but I would say enjoy the organization, the scenery, the seminars, the crowd, maybe not the beer – but hey, I’m just being honest…I’ve had better! 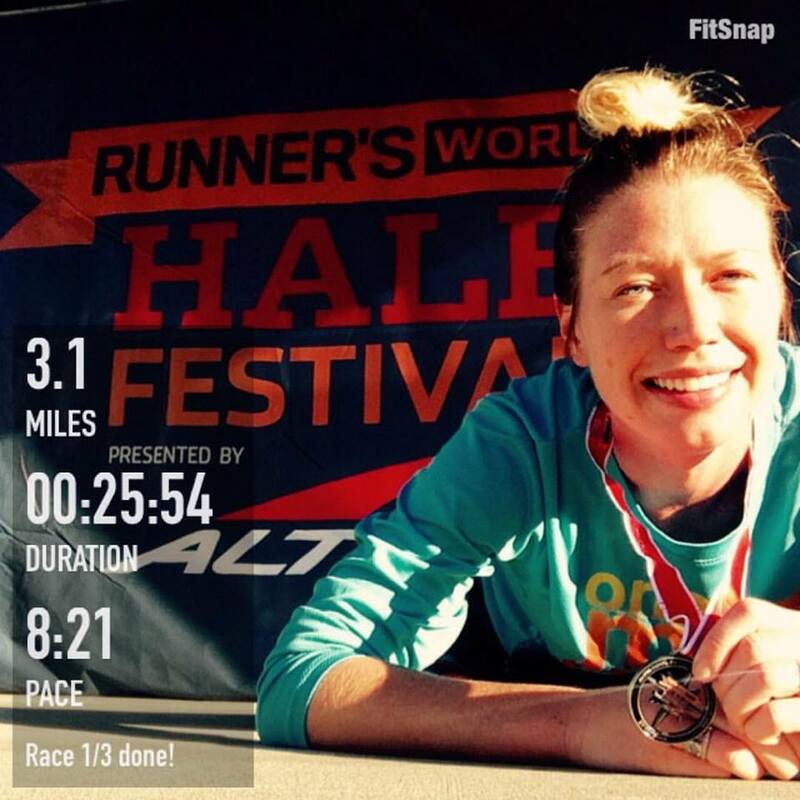 Two thumbs WAY up, Runner’s World!